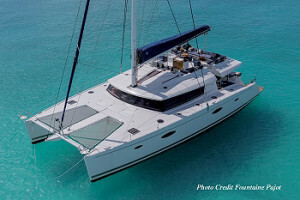 Cruise the Caribean in this elegant, crisp & freshly launched catamaran. 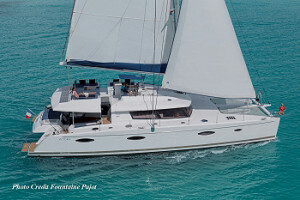 Bambarandi, a Fountaine Pajot Victoria 67 catamaran. materials and equipment to ensure ultimate luxury and comfort. Bambarandi accommodates 10 guests in five en-suite cabins: one king, three queens and one twin. All have independent A/C & fan system, Samsung LED TV with bluetooth headphones and Sonos music system with access to onboard film and music libraries. The vast master cabin also features a desk / dressing table and dressing area.